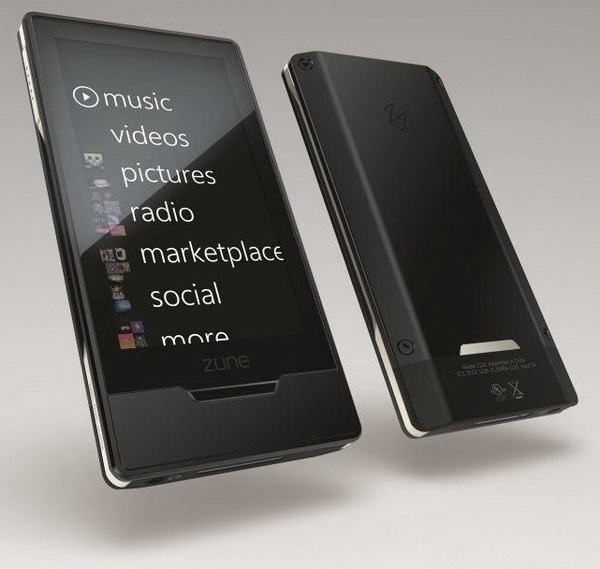 "There is a lot of news circulating today about some rumors of the new Zune HD using the NVIDIA Tegra processor. Several websites have been following the rumor, that started at donanimhaber.com, but apparently no one can confirm whether or not Microsoft's latest portable media player does indeed use NVIDIA's system-on-a-chip design. Well PC Perspective can: the Zune HD does in fact use NVIDIA's Tegra processor. I actually learned this fact from some NVIDIA staffers over at Computex in early June but I guess I just didn't realize how "news worthy" the information was. No longer do you have to worry about "rumors" on the subject - Tegra has its first major design win." "Nvidia's Tegra is a great platform and it needs only 150mW to decode a video stream and only 20mW to play audio which makes it a perfect candidate for such players like Zune HD. Nvidia already showed some netbook and tablet products based on Tegra at Computex. These were probably all based on Tegra 650, the high end Tegra part as Nvidia likes to call it, while Zune HD will probably based on the mid-range Tegra 600." Now bear in mind this is all speculation until we get confirmation that doesn't come in the form of "some guy heard it from some anonymous guy at a press event." But until then I'll continue to ooh and ahh at the demos and dream about the prospects of mobile gaming on this thing. I can't wait to see how it'll turn out. UPDATE: Matt Aikers, via the ZuneInsider Podcast has confirmed that the chip is in fact a Tegra. Guess we don't need those scare quotes anymore! (Thanks Alber1690).